Sergeant Steven Wong and Officer Marc Valenzuela were the first to arrive on scene. Upon locating the apartment, they were immediately ambushed by the suspect, who — unbeknownst to the officers — had just shot and killed his girlfriend. When the suspect opened fire, Sergeant Wong was hit in the abdomen, but the round was stopped by his ballistic vest. Officer Valenzuela was struck in the arm. 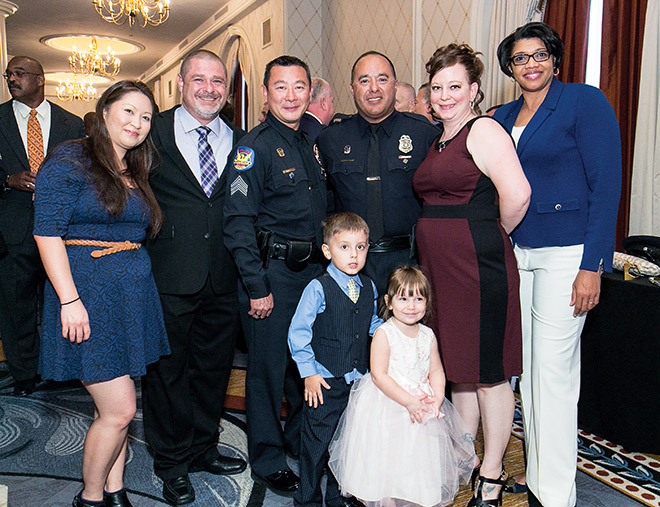 The honored officers and their guests enjoyed a pre-ceremony reception. 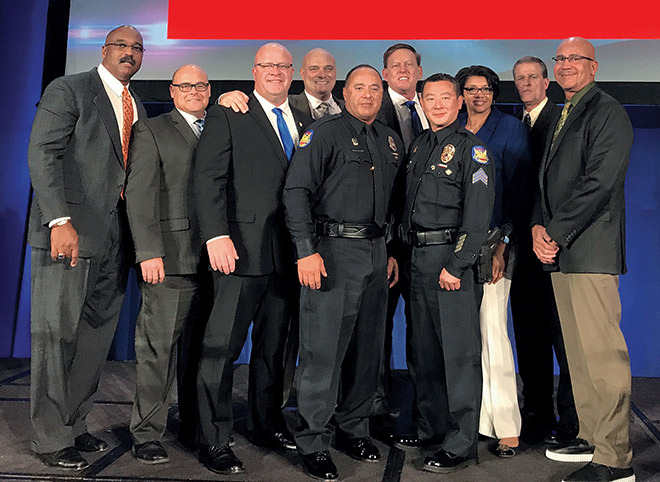 Despite the sudden and violent attack, coupled with injuries and the trauma of being shot, both Sergeant Wong and Officer Valenzuela were able to return fire and stop the threat. 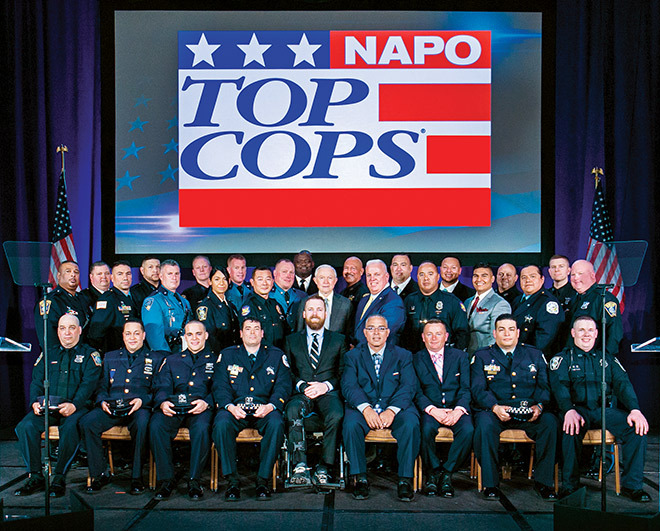 For their actions that day, they were honored with a 2017 Top Cops award by the National Organization of Police Organizations (NAPO). 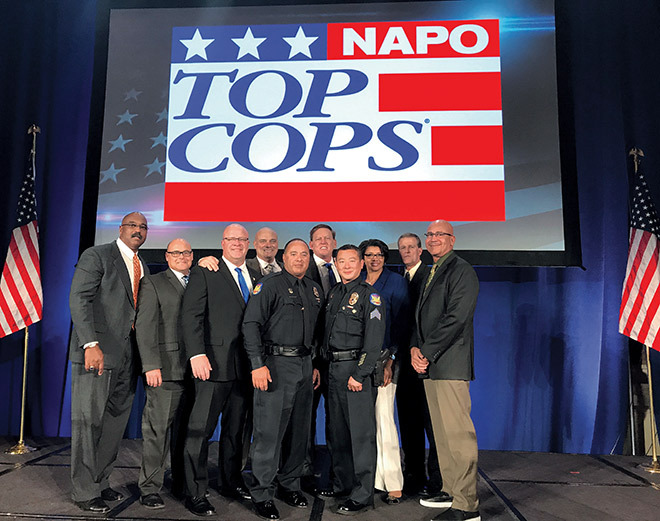 Sergeant Wong and Officer Valenzuela were recognized at a ceremony in Washington, D.C., on Friday, May 12, along with other Top Cops from around the nation. 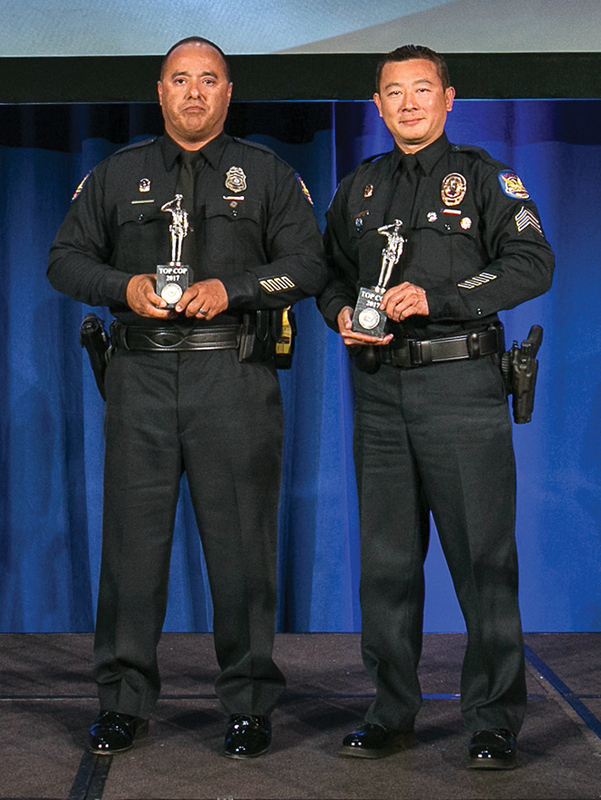 They join the ranks of several other Phoenix police officers who have received this prestigious award.